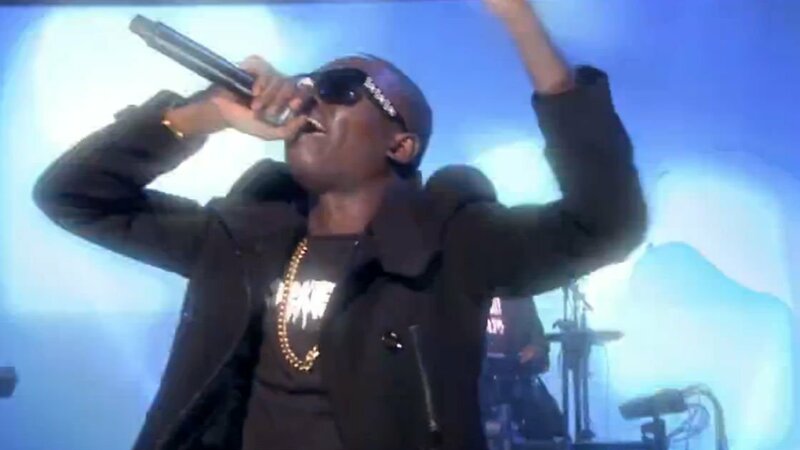 In the midst of one hell of a break out year, Brooklyn rapper Bobby Shmurda finally made his television debut on last night's The Tonight Show Starring Jimmy Fallon. Check him out performing none other than (the clean version of) "Hot Boy." Accompanied by his hypeman, two backup dancers, and The Roots (who were all clad in "Shmoney Team" apparel), Shmurda brought his signature "Shmoney dance" to the The Tonight Show stage. "I'm gonna learn how to do it, man," Fallon told Shmurda later on in the show. I don't know about you, but I'll certainly be looking out for the Fallon version of the Shmoney dance. In the meantime, you can also check out the "Flash Shmob" that ensued outside of Rockefeller Center upon Shmurda's arrival below, via Complex. For music, news, and videos from Bobby Shmurda, check out his Zumic artist page.